Mesmer was released on March 24, with no forewarning and completely blindsiding fans and the industry alike. Northlane were lauded for presenting the album directly to their fans in such an unorthodox and exciting manner. Since it dropped, Mesmer has been streamed over 5.38 million times. 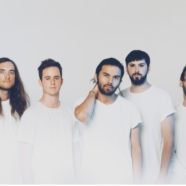 The album was received with a raft of acclaim, shaping Northlane into one of the most successful Australian heavy music exports today. The rest of 2017 will see Northlane take Mesmer to all corners of the globe, starting with appearances on the main stage at Download Festival (UK) and Hellfest (France). The band will also appear at Vainstream Rockfest (Germany), Jera On Air (Netherlands), Graspop (Belgium), Dissonance Festival (Italy), Rock For People (Czech Republic), Resurrection (Spain) and many more. Full UK, European, and U.S. tour dates will be announced soon.